Take it from Sean Nevills. To succeed in any career field, know what you want. “When I finally figured out what it is I truly want to do and be in life, that's what guided me,” Nevills said. As a young undergraduate student, Nevills didn't know what he wanted. Working on an assignment for his then-major, Nevills had a realization. Nevills had transferred to Missouri State after his freshman year at an out-of-state university. Despite switching majors once he arrived, his new major felt dull. His third choice for a major, physical education, proved to be the right match. As a P.E. major, Nevills built relationships with his professors and classmates. “All four years I was in the program, I always learned something new,” Nevills said. He credits the kinesiology department for helping him start his professional career. Nevills completed his bachelor's degree in 2010. 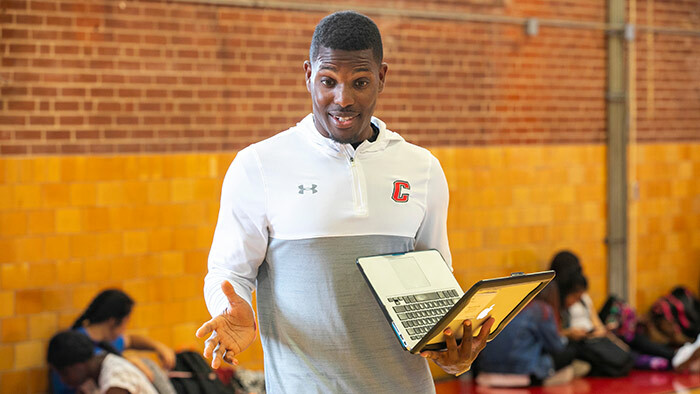 He finished his master's in sports management in fall 2013, then accepted a full-time teaching job at Battle High School in Columbia, Missouri. 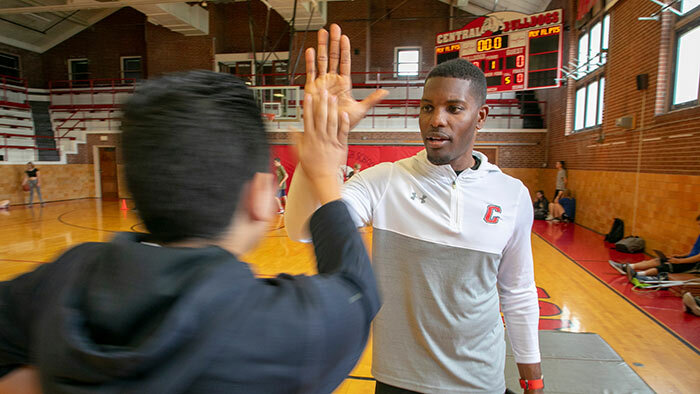 While completing his two degrees, Nevills began his coaching career. He was a student assistant and graduate assistant coach for the MSU football team from 2007-13. “That was my ultimate passion – coaching," Nevills said. Nevills coached and taught at Battle for two years. He returned to Springfield in 2016 as the head football coach at Central High School. He’s also a physical education teacher, weight room coordinator and assistant track and field coach at the school. 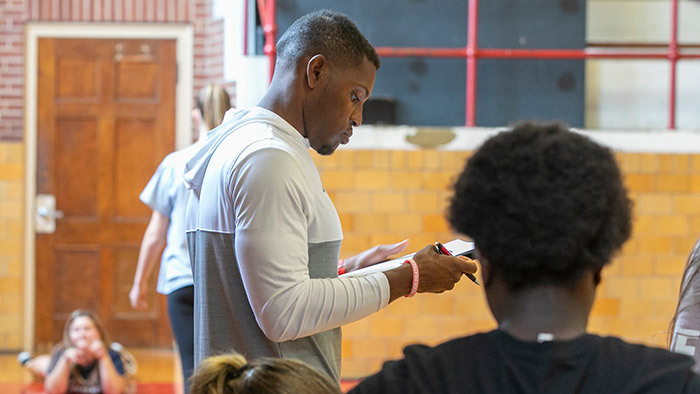 “Part of the reason I came back here from Columbia is because a lot of my connections are here, with Missouri State and just friends in general,” Nevills said. He's learned that teaching and coaching go together. “I tell people, ‘Teaching is truly a gift. If you have it, use it. Coaching comes from teaching. You can’t be one or the other." Gina Schafer admits to being a bit of an introvert when she began classes at Missouri State University-West Plains in fall 2001.